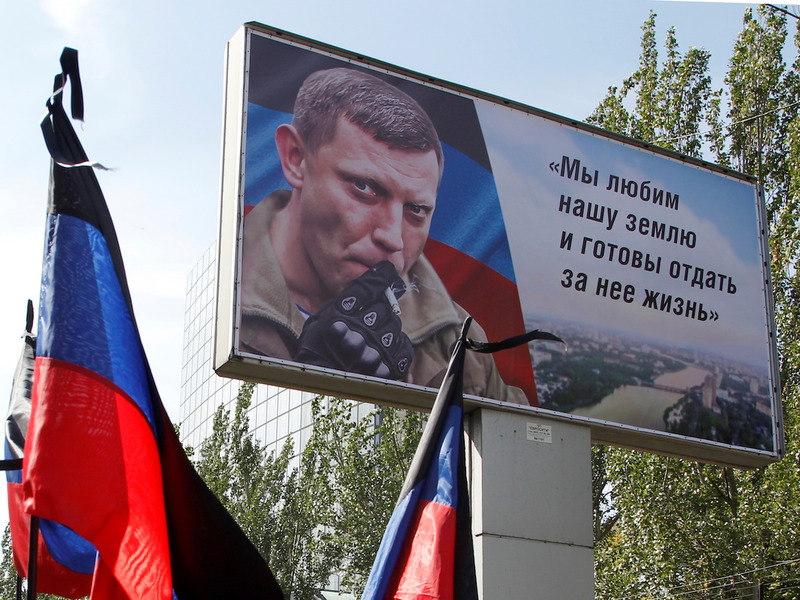 The prime minister of the Russian-backed Donetsk People's Republic Alexander Zakharchenko was assassinated last week by an explosive device placed in a floor lamp or chandelier. The explosion also killed Zakharchenko's bodyguard, Vyacheslav &qu ot;Slavyan" Dotsenko, and wounded two others, including Alexander Timofeyev, the DPR's finance minister. The perpetrator was most likely near the cafe and saw Zakharchenko enter before he or she detonated the bomb. The prime minister of the Russian-backed Donetsk People's Republic in eastern Ukraine was killed last week by a bomb placed in a chandelier or floor lamp, according to Kommersant, a Russian media outlet. Alexander Zakharchenko was killed about 5 p.m. last Friday in an explosion at a downtown Donetsk cafe called "Separ," meaning Separatist. Zakharachenko died from craniocerebral trauma, with the blast nearly taking his head off, according to Novaya Gazeta, a Russian newspaper. The explosion also killed Zakharchenko's bodyguard, Vyacheslav "Slavyan" Dotsenko, and wounded two others, including Alexander Timofeyev, the DPR's finance minister. Kommersant reported over the weekend that an explosive devise was placed in a chandelier or floor lamp and ignited by a telephone call. The perpetrator was most likely near the cafe and saw Zakharchenko enter before he or she detonated the bomb, Kommersant reported. The cafe is apparently owned by a DPR security official and was thoroughly guarded, raising questions of an inside job. Multiple people were later arrested near the cafe in connection with the bombing, including "Ukrainian saboteurs," Russia's Interfax reported. "Read nothing into [these arrests of Ukrainian saboteurs] until we know more details," Aric Toler, a researcher with Bellingcat, tweeted last week. Kyiv and Moscow have both been accused of several assassinations in the Donbas and Ukraine as a whole since the war began in 2014.